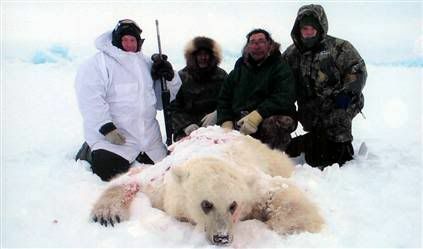 If I had any phobias about killer animals it would be the polar bear since they are inquisitive and diligent hunting machines with no predators except man. So basically they are fearless, sometimes expressionless. Check out this polar-grizzly bear hybrid news report. Read some of the comments about the hybrid bear here.